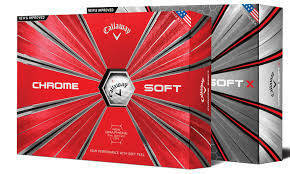 Buy three dozen personalized Callaway Chrome Soft golf balls and get one more personalized dozen free. Personalization can be 3 lines of 20 characters. Total cost for 4 dozen personalized golf balls, tax and shipping is $155.29. A South Shore Golf representative will call to review your order and discuss payment methods.